Farmers need clarity on what the future farming landscape will look like to allow future investment, the NFU said at its Business Symposium. Early indicators of the NFU’s Confidence Survey results reinforce the need for Government to provide certainty so farmers are able to effectively plan for the future. It comes as the Prime Minister prepares to sell her Brexit deal to MPs, who will vote whether to accept or reject the terms of Brexit on Tuesday 11 December. However, it has been reported that the EU could be prepared to discuss extending Article 50 - delaying Brexit until after 29 March - if May's deal was rejected by MPs. Such political uncertainty was highlighted at the NFU's annual Business Symposium, which brings together business professionals and farmers to address the political realities influencing the future of British farming. NFU Deputy President Guy Smith, who opened the event and chaired the panel session, said there is a "worrying lack of confidence" amongst the union's membership. Mr Smith said: “This is already acting as a barrier to future investment, which not only impacts farming businesses but policy makers, advisers, banks and other stakeholders. 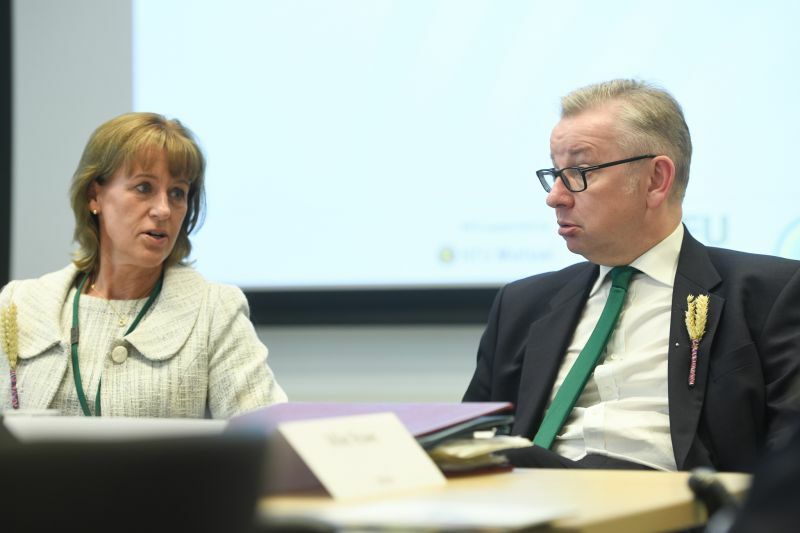 “If we are to continue this important contribution to the national economy alongside our food production and environmental responsibilities, farmers must be able to invest and make the necessary productivity gains in a post-Brexit landscape,” he said.